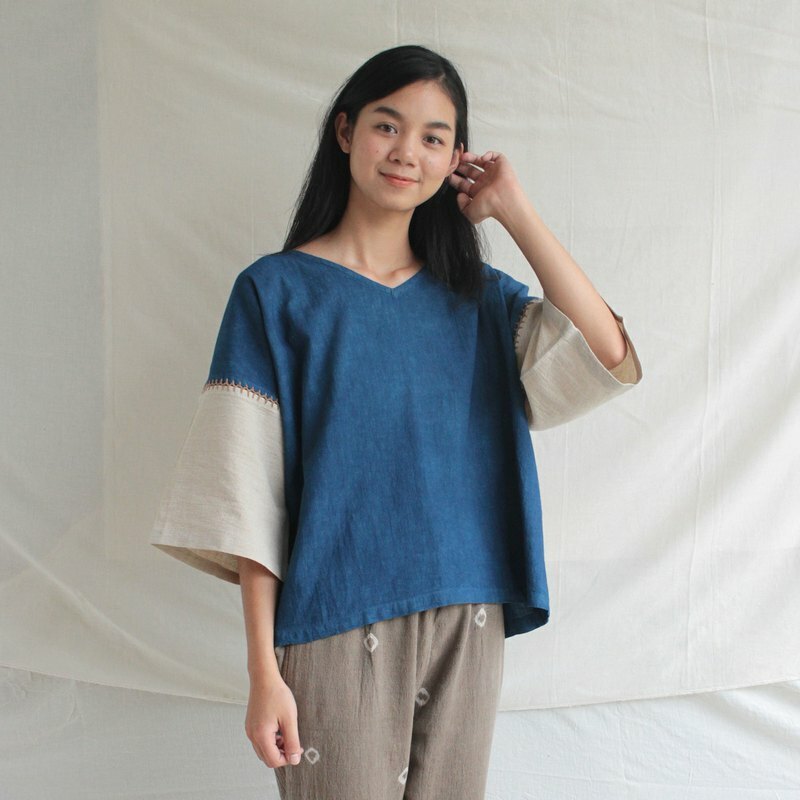 linnil: Indigo night / Almost square blouse > made of linen/cotton fabric > sleeves are hand-crocheted one by one from natural indigo cotton yarn > blue color dyed from natural indigo one size bust > 52 inch length > 23 inch sleeve length > 8.5 inch for Indigo shade blouse > https://th.pinkoi.com/product/pPQtP6PF * I use all natural material and dye every piece one by one in the small studio in Chiang Mai. * Please note that each one of product might slightly not exactly the same. * I try my best taking pictures. Please note that the color may vary from screen to screen.